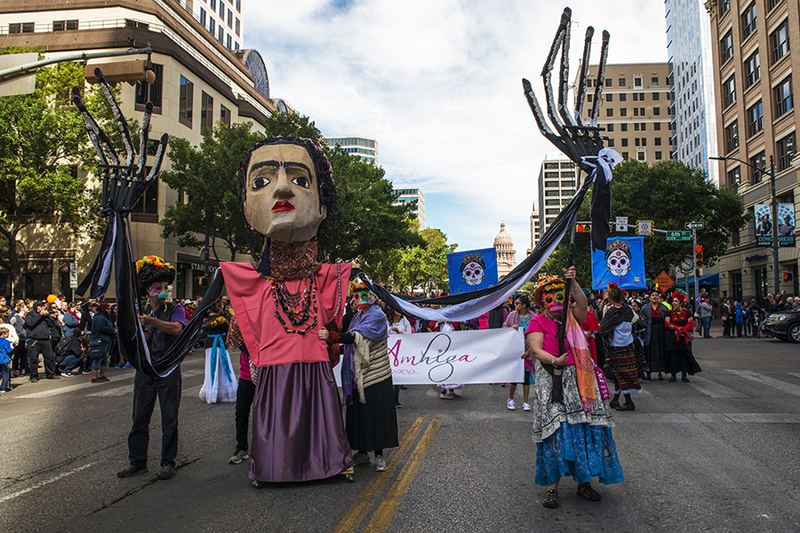 Join us for Mexic-Arte Museum's Viva Happy Hour, a spirited event where visitors can enjoy the Museum's exhibitions free of admission, and learn more about our history, impact, and Day of the Dead traditions in Austin over specialty cocktails, antojitos, and activities. Additionally, Mexic-Arte Museum will host a conversation with artists, museum educators, and tech professionals exploring the impact of technology in the arts and museum cultures. 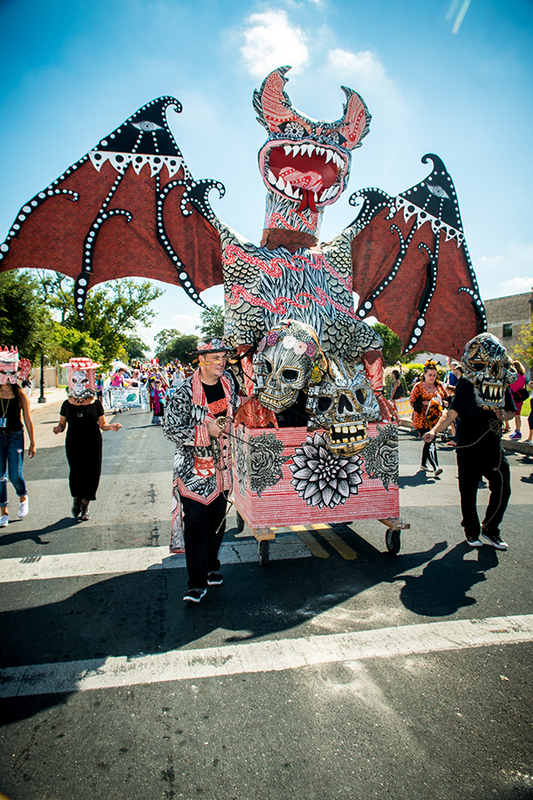 Your support and contributions during our Viva Happy Hour will help us meet our goal to fund three large scale artworks inspired by alebrijes for our Viva la Vida parade in October. 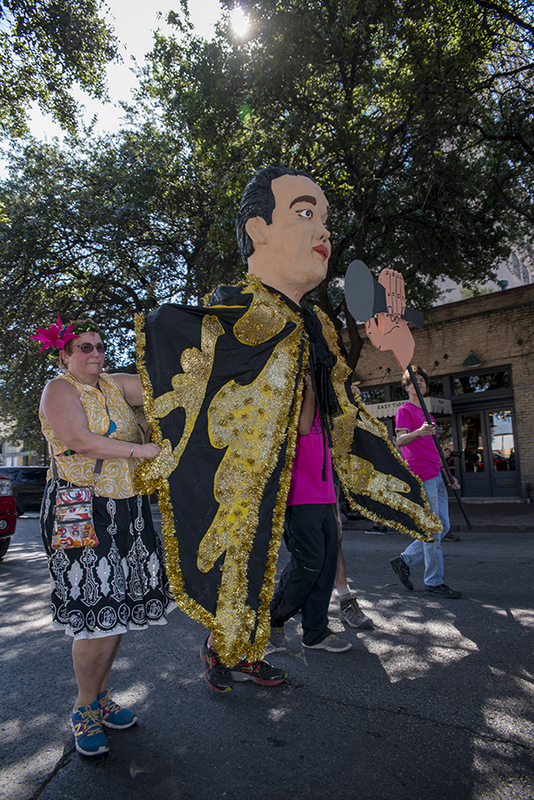 Join in on the festivities and help us keep our Artist-In-Residence Education program alive! Fotografía y Nuevos Medios: Selections from the Permanent Collection, explores the plurality of resistance, highlighting varied lineages of Latinx and Latin American resistance. This diverse exhibit, part of Mexic-Arte Museum's Permanent Collection, ranges from traditional photography to other experimental forms, including video, installation, and non-traditional photography. In collaboration with Augment El Paso and FabLab El Paso, the Desert Triangle Print Carpeta exhibition offers Augmented Reality experience of serigraphs. Featuring the work of 30 printmakers from Tuscon, AZ, Albuquerque, NM, and the El Paso, TX area, this collection of prints offer vibrant and diverse artistic styles and printmaking techniques, while dealing with themes pertinent to the Southwest region of the US.